The newly appointed Board of the Nigeria Extractive Industries Transparency Initiative says its major priority is to develop policies and strategies that would translate the principles of the global Extractive Industries Transparency Initiative implementation in Nigeria into visible impacts in the lives of the citizens. The visible impacts include ensuring that revenues from oil, gas and mining result in poverty reduction, creation of jobs, security of lives and property, improved infrastructure, access to health care, education and social welfare. Chairman of the NEITI Board and Minister of Solid Minerals Development Dr Kayode Fayemi said except and until NEITI’s intervention in the Extractive Industry governance leads to the urgent resolution of these national development challenges which the citizens had to contend with daily, the main goal of Nigeria’s membership of the global EITI will be far from being realised. The Board Chairman described the Induction program as a forum for strategic thinking and knowledge sharing on ways to address the challenges ahead in an efficient manner in line with the EITI and NEITI mandates. Dr Fayemi conveyed President Muhammadu Buhari’s commitment to “building better systems and procedure that will strengthen the capacity of the relevant government agencies, halt mismanagement, inefficiency, lack of transparency in the extractive sector as well as the diversification of the economy”. 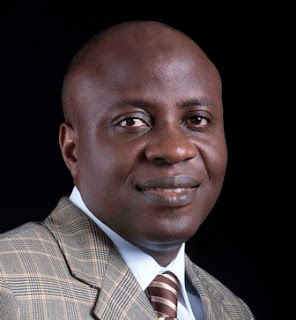 The Executive Secretary of NEITI,Waziri Adio outlined key challenges facing the organisation. He specifically identified implementation of Remedial issues in NEITI Reports, human capacity development for the multi-stakeholders and the alignment of NEITI - EITI principles to the economic reform programs of the present administration. In one of the presentations, the former Chair of the NEITI Board, Prof Assisi Asobie advised the newly constituted NEITI National Stakeholders Working Group (NSWG) to use the NEITI Mandate to set agenda on the management of Nigeria’s natural resources for the President Muhammadu Buhari led change Administration. Professor Assisi Asobie described the Board as the Heart of the NEITI and urged it to link NEITI to Nigeria’s budgetary process for better and more sustainable impact. He explained that one way of actualising the objectives of the NEITI is for the Board to lead the debate on the urgent need to diversify the country’s economy and revenue base. He called for the urgent review of the NEITI Act and other relevant regulations of the EITI process in Nigeria in other to meet present day realities. In the words of Prof Asobie, “the time has come for the global EITI and the NEITI to review the principles and operations guiding the framework of natural resource governance if the original purpose of affecting the lives of the citizenry is to be achieved. After over 10 years of implementation, the demands by the citizens of implementing countries for results and impacts have been on the increase. The citizens in Nigeria are asking with NEITI, what has changed in the management of Nigeria’s oil, gas and mining revenues? How has implementation touched our lives in terms of access to education, jobs, health care, better environment and opportunities? The earlier NEITI and the EITI fine tune its operations to respond to citizens expectations, the better” he added. Other speakers drawn from the EITI Secretariat, government agencies, the public and private sectors, development partners as well as the civil society commended the work done so far by NEITI. They were of the consensus that it is time to move EITI implementation from its focus on transparency and accountability to visible impacts in the lives of Nigerians. They advised NEITI to expand its definition of the civil society and build the capacity of its stakeholders to understand the principles and methods of the EITI for the required buy-in to happen at the state and local government levels.